As many of us know, this flu season has been particularly intense and deadly. According to the CDC, Dallas county alone has had 49 deaths related to this year’s flu. (CNN) This year’s seemingly unyielding flu season continues to ravage the entire continental United States, as health authorities track additional deaths and hospitalizations — and there’s more of the season left. Influenza activity continues to be widespread in all states except Hawaii, according to the weekly flu report released Friday by the US Centers for Disease Control and Prevention. All while, based on the latest data, the flu season has not even peaked yet, said Kristen Nordlund, a spokeswoman for the CDC. “Hopefully we’re in the peak currently, since the data is a week behind, or that it peaks soon. Regardless, there is a lot of flu activity happening across the country and likely many more weeks to come,” Nordlund said. The deaths of seven more children were reported this week, bringing the total number of pediatric deaths for the season, which began in October, to 37. There were 11,965 laboratory-confirmed flu-related hospitalizations reported from October 1 to January 20. The number of people infected with influenza could be much higher because not everyone goes to their doctor when they are sick nor do doctors test every patient. Additionally, there were 41.9 hospitalizations for every 100,000 people. That’s an increase from the week before on par with the increases the CDC has noticed from week to week for the past couple of weeks. Flu is a contagious respiratory illness caused by influenza viruses that infect the nose, throat, and sometimes the lungs. 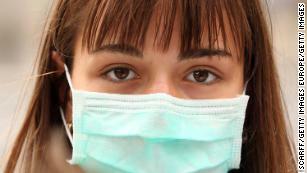 Flu can cause mild to severe illness, but also turn deadly. “It’s still not too late to get vaccinated, as we’re starting to see some increase in Influenza A H1N1 and Influenza B activity,” she said, adding that if you think you have flu or if you are at a high risk for complications from flu, it is important to seek care early. “Influenza antiviral treatment is recommended as early as possible for people at high risk, which includes children younger than age 5 but especially less than age 2, adults age 65 and over, pregnant women, and people with underlying medical conditions such as lung disease, heart disease and diabetes — in children, a big category includes those with neurologic or developmental disorders,” she said. Over the past 15 flu seasons, the current season is the first time all states in the entire continental US have reported widespread flu activity during the same week, according to the CDC. 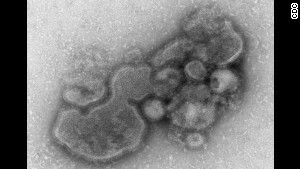 During a call with reporters on Friday, Dr. Daniel Jernigan, director of the influenza division in the National Center for Immunization and Respiratory Disease at CDC, pointed to two notable characteristics of this flu season. Schools in Gunter, Texas closed “due to widespread flu and illness” for an entire week and reopened on Wednesday, according to an announcement from the Gunter Independent School District’s superintendent. The school district closed after 253 student absences, with the majority being due to either confirmed flu or flu-like symptoms. While there’s not one state in particular seeing the worst or higher flu activity than others, “we are seeing some signs that flu is on the decline in the West,” CDC’s Nordlund said. To help prevent getting the flu this season, there is still time to get a flu shot, Whitley-Williams said. She added that if you are experiencing flu-like symptoms, and think that you may have the flu, it might be time to call your doctor — especially if you have a persistent fever, weakness, or body aches that won’t go away even with over-the-counter medications. In addition, the good old advice to wash your hands still holds true as well as keeping your germs to yourself. Antibiotics: Helpful or Harmful? It Depends.